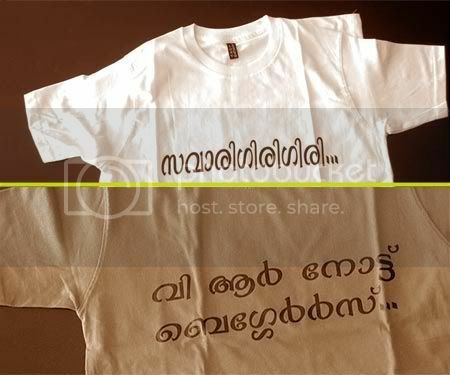 For sometime, I have been seeing these funny shirts with some of the great dialogs heard in malayalam. I hear that this is a trend catching up with the youngsters. I have no objection to these – in fact I am glad that we are promoting this against some English word shirts. You can find this rage almost everywhere including the media like newspapers and television.